What are some differences between credit cards and debit cards? Thanks for coming back to Planning for your Purpose, Telos Financial’s blog where I discuss different financial planning topics. Dennis LaVoy is Plymouth’s financial advisor serving clients around the Ann Arbor and Detroit area as well as across the country. The purpose of the blog is to introduce financial planning concepts and questions I receive from clients that I believe are important. I want to start discussions about that will educate, benefit, and improve your financial life. Ultimately, to help you focus on your telos! With the conveniences provided by credit cards, many people are ditching cash and moving to plastic or electronic forms of payment. There are a lot of benefits to doing so. You can track your spending more easily since all the transactions are electronically logged. You don’t have to carry a big wad of paper around with you that you can lose or be stolen. There are some great rewards programs out there to incentivize using a card, depending on how you spend and your lifestyle. Using a credit card can give you real time tracking and breakdown of your spending by category. There is more fraud and loss protection compared to cash. Using a card is a way to build a credit record, serve as emergency liquidity, as well as other benefits. That said, some of the benefits are viewed as drawbacks to some, so you’ll have to decide for yourself what the best spending solutions are for you. Some complaints about cards or electronic payments are a different likelihood of fraud, you can get out of control with spending, and high costs for retailers. First off, I’d like to warn about the dangers of credit cards. It can be easy to get approved, easy to rack up high interest debt, and it’s easy for this to get out of control. If you use a credit card, you need to do it responsibly. Any of the conveniences or benefits of using a credit card are quickly wiped out by the costs associated by out of control spending or debt. Revolving credit greatly decreased during and after the great recession, but it’s back on the rise. As we gain confidence in the economy and feel good that we’ll have future income and employment, we feel better about spending today assuming we’ll be able to pay it back in the future. There’s nothing inherently wrong with that, as long as it’s reasonable compared to your budget and income. A debit card at its simplest level works like an ATM card that you can use at retailers or online. That means instead of carrying cash, you can purchase an item and the retailer will directly take the funds from your bank account. These are great for the convenience and limit some of the exposure, since you don’t have a line of credit to draw from. You can only spend money you have. There may be some overdraft protections on these, but it’s no more risk than you’d take with writing a check. You need to stay on top of the balance so you don’t overspend, but overall, these provide a nice convenience. Different than a debit card, a credit card involves credit approval and a revolving line of credit. What’s that? Revolving credit is credit or money you have already been approved to borrow and can spend at any time. Credit cards, Home Equity Line Of Credit (HELOC), and overdraft protections are examples of revolving credit. So, if you are approved for a credit card, the issuer will tell you the amount of credit you are approved for (or the amount you may borrow). For example, if you are approved for $500 credit limit, that means you can buy things up to $500 in value at any time. One of the more common problems with credit cards is the high interest rates. Many cards charge interest of over 20%. The average credit card interest rate (APR) right now is 17.41% as of mid January 2019, a record high rate. 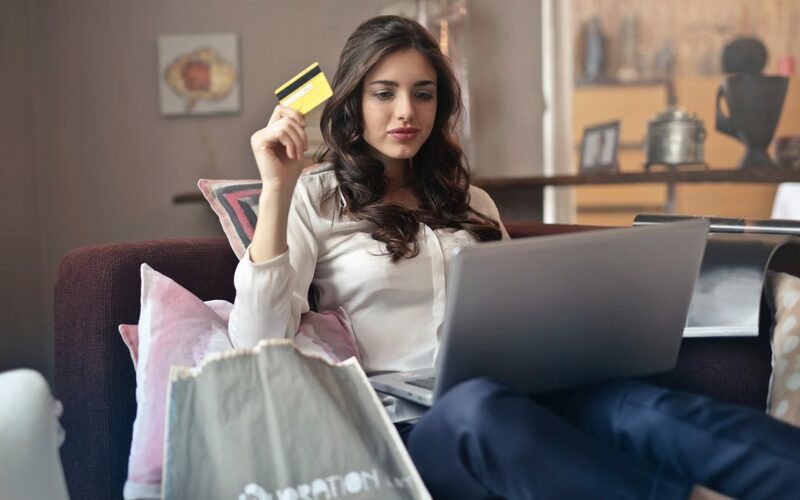 There are common exceptions to this rule, many cards offer promotional limited time low or zero percent interest rates and credit union sponsored cards will typically have lower rates. My credit union currently has a card with a rate around 8.5% as of January 2019. These low rates are still high compared to what you can get on a mortgage (current average is 4.45%). Credit cards offer some benefits not available to debit cards. One is they offer emergency cash. If you have no cash and you need to pay bills, you can borrow quickly and easily on a credit card. If this is a symptom of poor budgeting, it’s something you need to address, but if there’s a logical reason for it, it can make a lot of sense. If you have recently become eighteen years of age, credit cards have a monumental benefit in allowing you to build a credit history. Your credit score and history is a seven year record of how you’ve handled your credit. It’s a huge benefit to have a high score, but if you don’t use credit or were too young to get credit, you are locked out of this benefit. Getting a low line card and using it regularly and responsibly is a great step for someone trying to build a credit card. The biggest hurdle is time. You have to be responsible with the card for a long period to get a high score. Credit and debit cards have benefits and drawbacks. They are meant to be used as a tool, but you need to exercise great responsibility when using them. Good cash flow is a fundamental building block of a successful financial plan and misused credit cards can quickly derail cash flow. Telos Financial is a Michigan’s financial planning firm for Xennials, Millennials, Generation Xers, & young professionals. Dennis LaVoy is a fiduciary, practicing holistic financial planning with Telos Financial in Plymouth, Michigan serving young professionals and families. Dennis LaVoy, CFP®, CLU® founded Telos in his tenth year as an advisor and uses his experience, knowledge, and expertise to help families and individuals in Ann Arbor, Detroit, surrounding areas, and across the country achieve their financial objectives.